When my son was in kindergarten, he came home from school one day talking about Honeycrisp apples. Apparently, they were his teacher’s favorite kind of apples and he wanted to try them. I had never heard of them, but we went to the store and bought a bunch. They were the most amazing apples I had every eaten. They were crispy and sweet. Perfect for eating fresh or in baked goods. We look forward to the Honeycrisp apple season every fall. It’s very short so we buy all we can, sourced from our local Virginia orchards, to enjoy them at their peak. 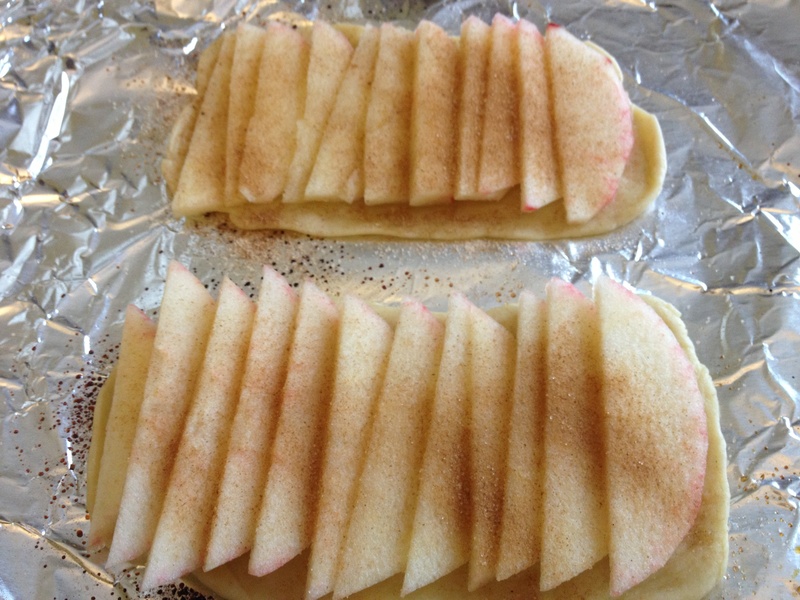 Here is one of my favorite ways of cooking honeycrisp apples. 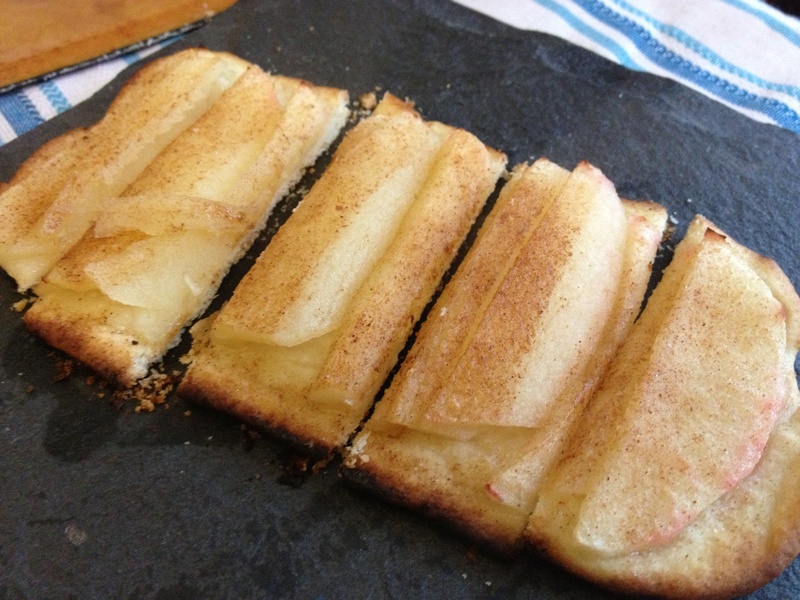 Sliced apples, topped with cinnamon sugar and baked on a very thin, crispy and light flatbread. This is a vegan recipe where you won’t miss the butter, as it is replaced with extra virgin olive oil. 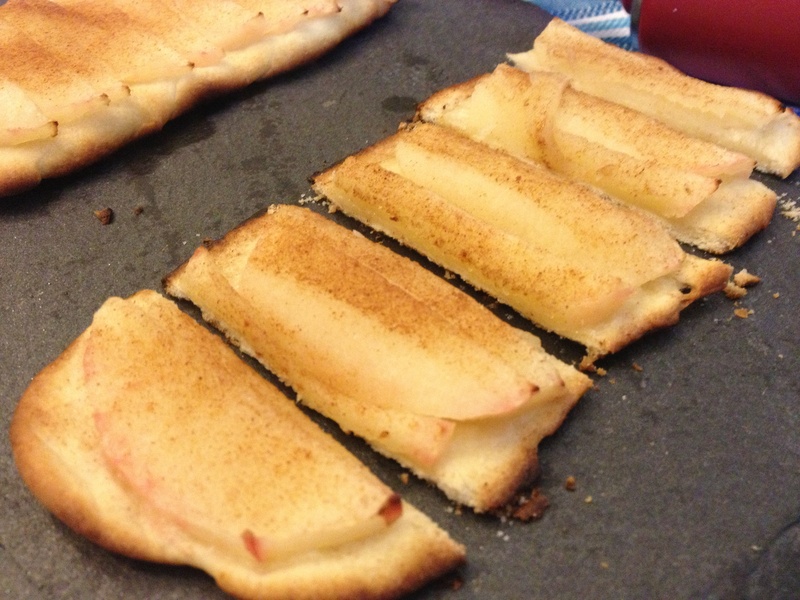 If you don’t have Honeycrisp apples, try Granny Smith, Pink Lady or any apple that is crisp and will hold it’s shape while baking. Heat the oven to 450°F. If possible, use a pizza stone/bricks to get a perfect crisp crust. I use a pizza stone from Emile Henry. I use a food processor to make my flatbread dough. You could definitely use a stand mixer or make it by hand. 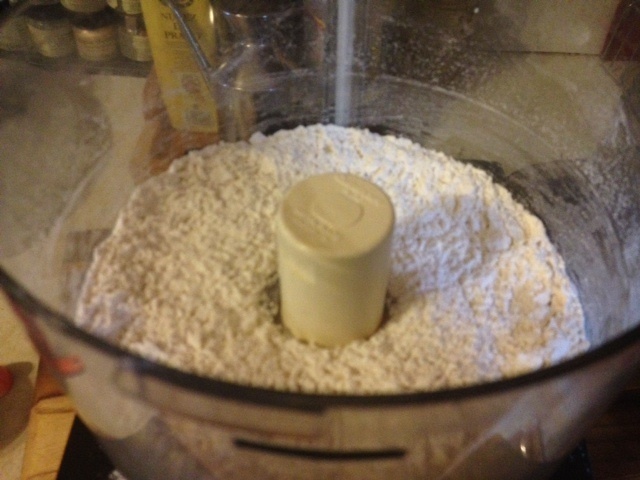 Add the flour, baking powder, salt and sugar to the bowl of the food processor. 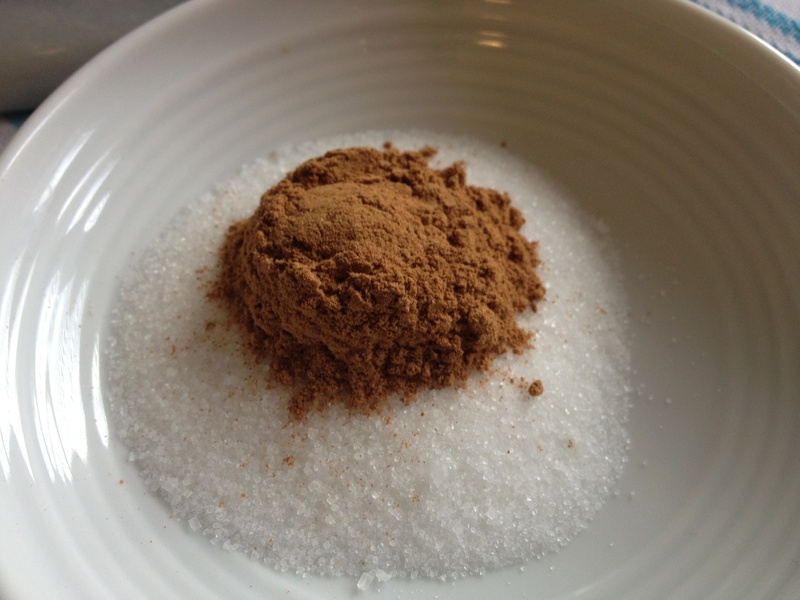 Give a few pulses of the food processor (to combine the dry ingredients). Add the olive oil and turn on the machine to combine. With the machine still on, add 1/4 cup of water. 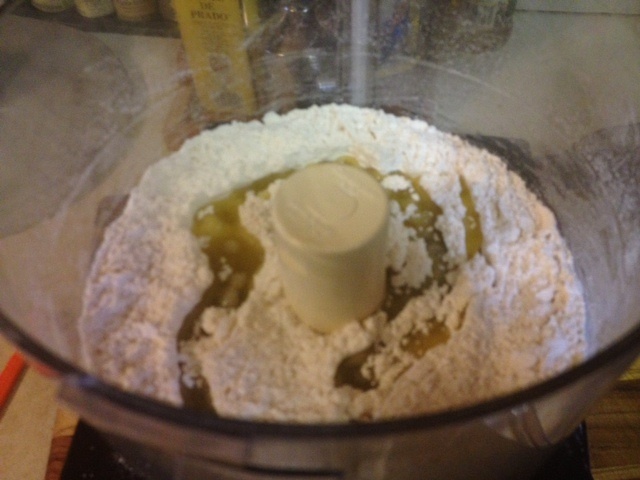 Add more ( up to another 1/4 cup) as needed until you have a pliable, non-sticky dough. 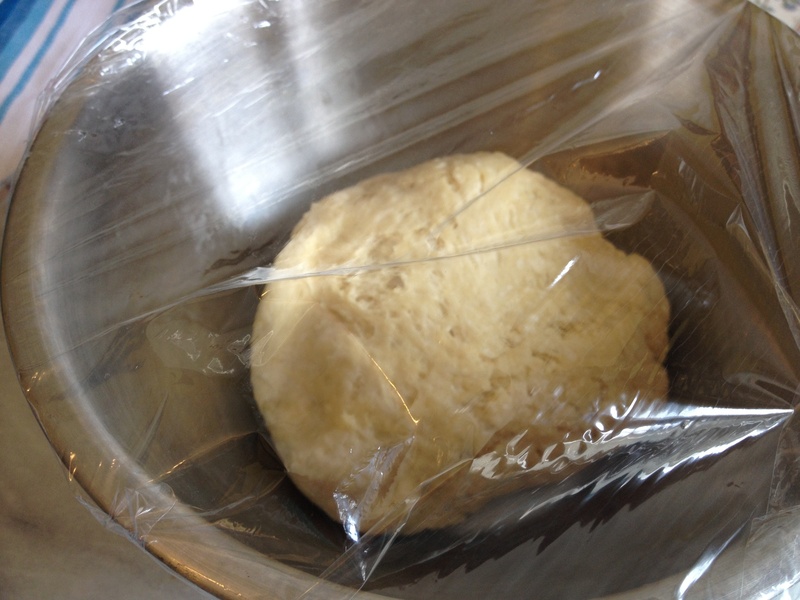 Put the dough in a bowl, cover with plastic wrap and let the dough rest while preparing the topping. 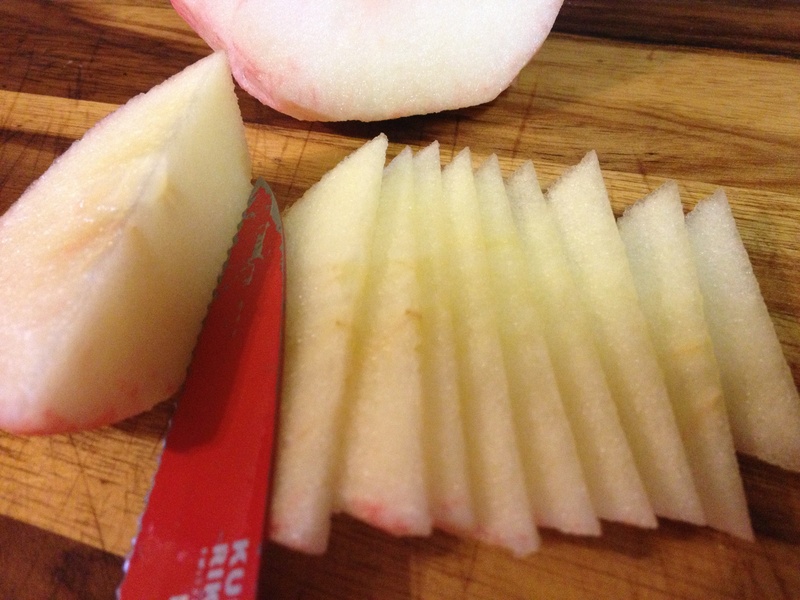 Peel and thinly slice the apples. 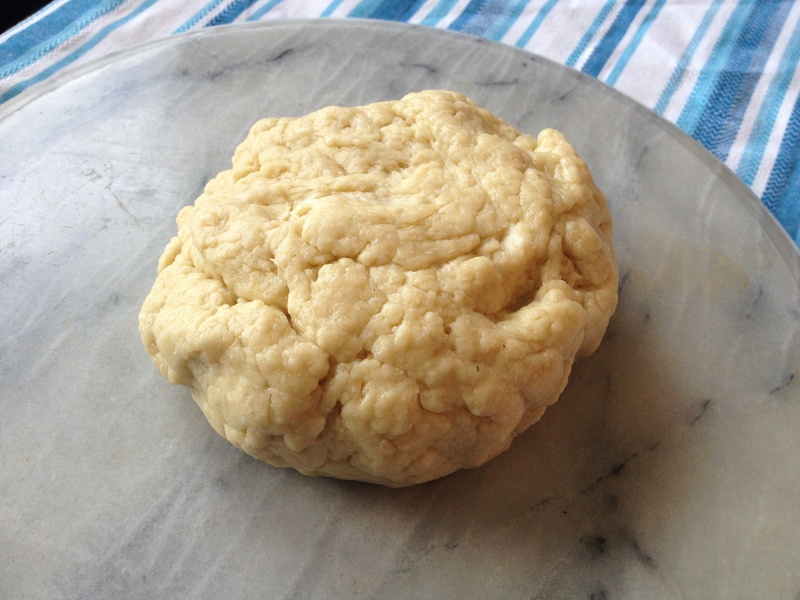 This dough can make easily make 8-10 small flatbreads. Any leftover dough can be refrigerated if you don’t want to make all of them at once. 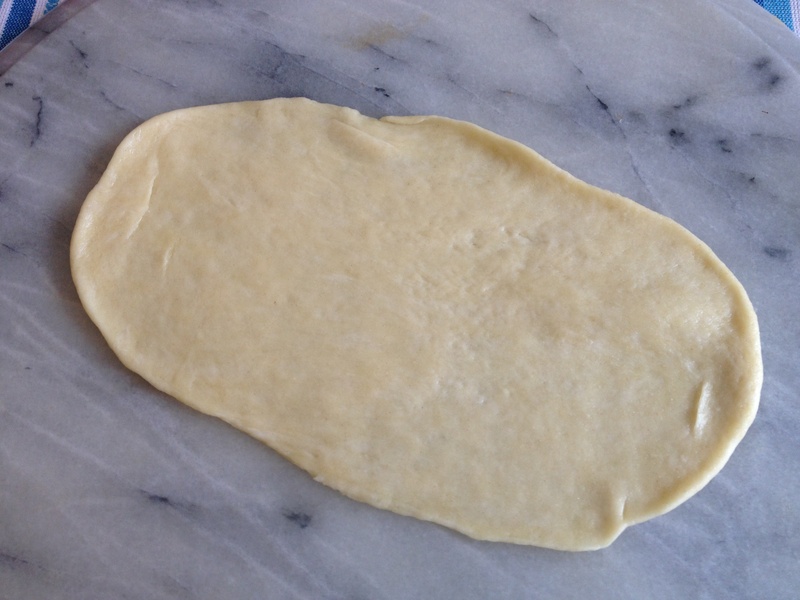 Pinch off a small piece of dough. 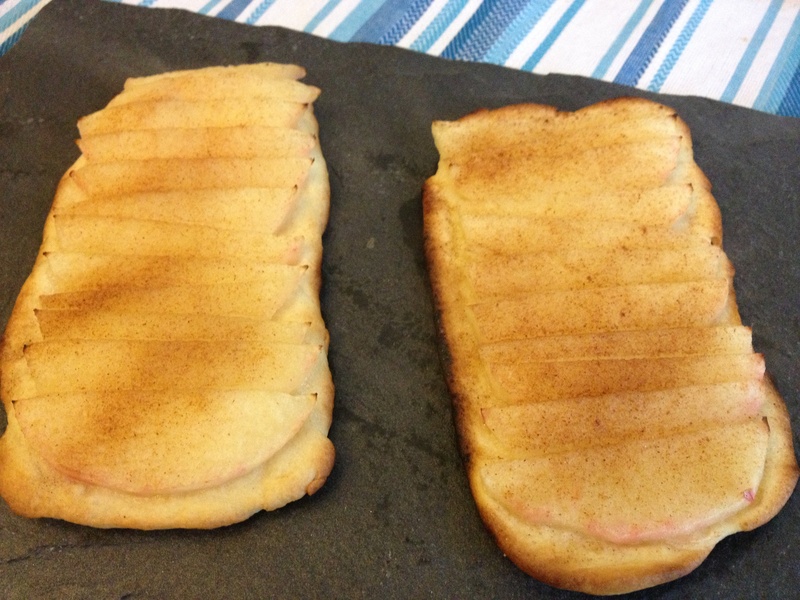 Roll into a thin, oblong shape. I can get two flatbreads on my pizza stone at once so I make two at a time. 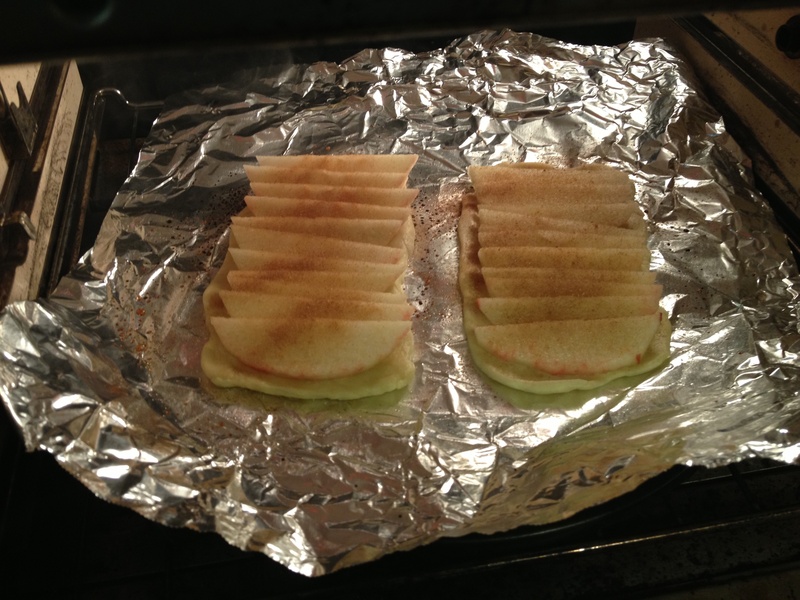 Move the dough to an oiled piece of aluminum foil. 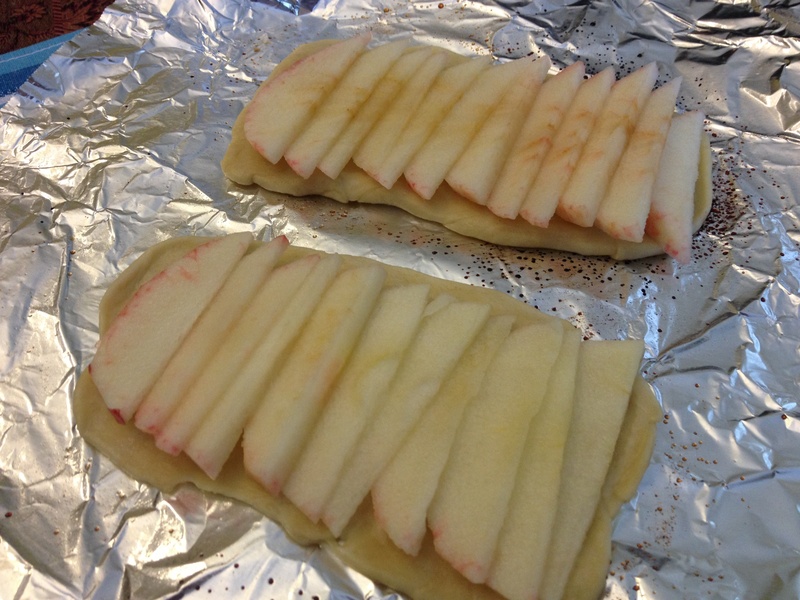 Add the sliced apples. The apples can overlap on the base. 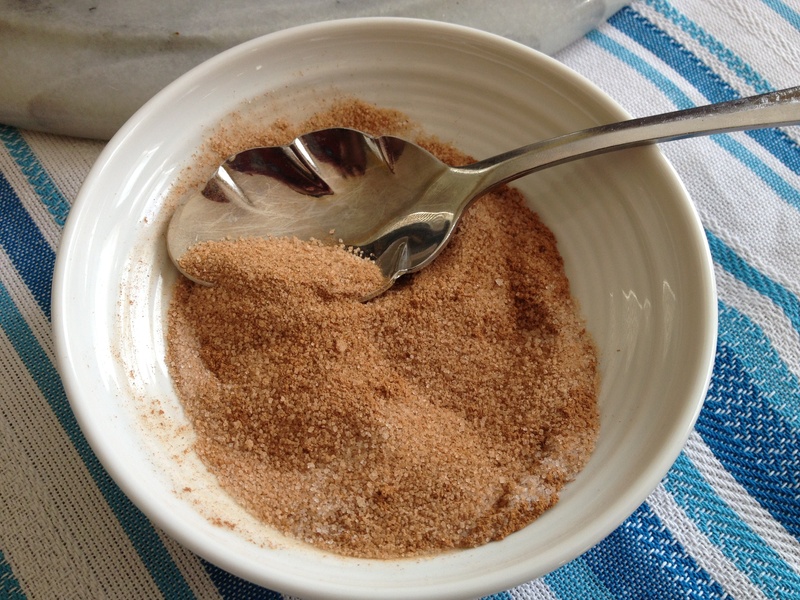 Sprinkle the cinnamon sugar on top. Bake for 5-10 minutes until the crust is browned. 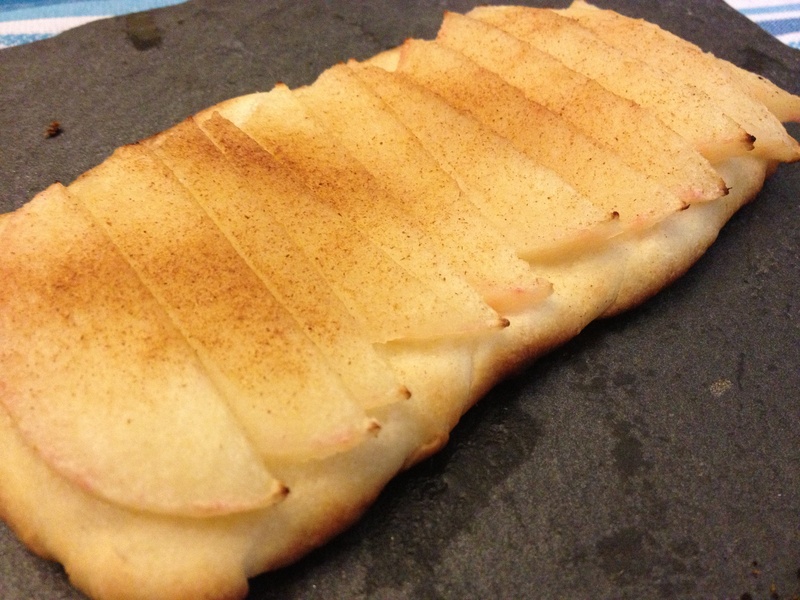 This recipe can change you can add mashed bananas instead of sliced eating apples.